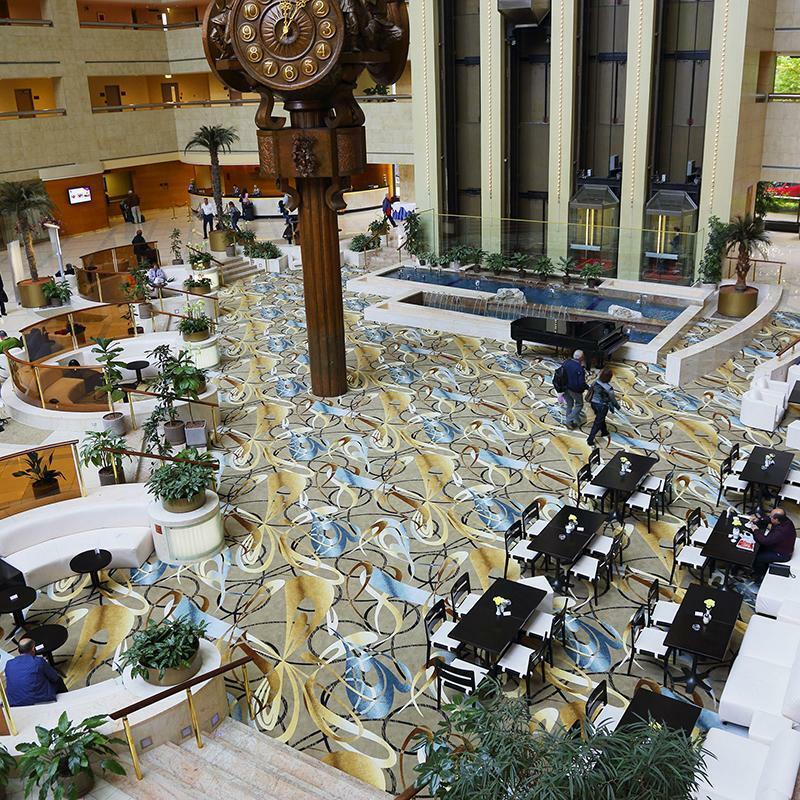 The Crowne Plaza Moscow - World Trade Centre is located in the business district of Moscow City near the International Exhibition complex Expocentre. 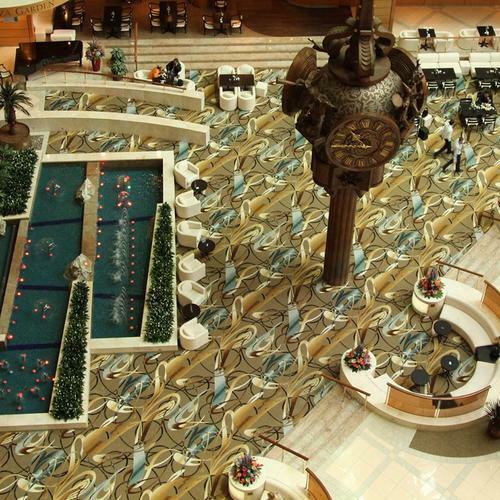 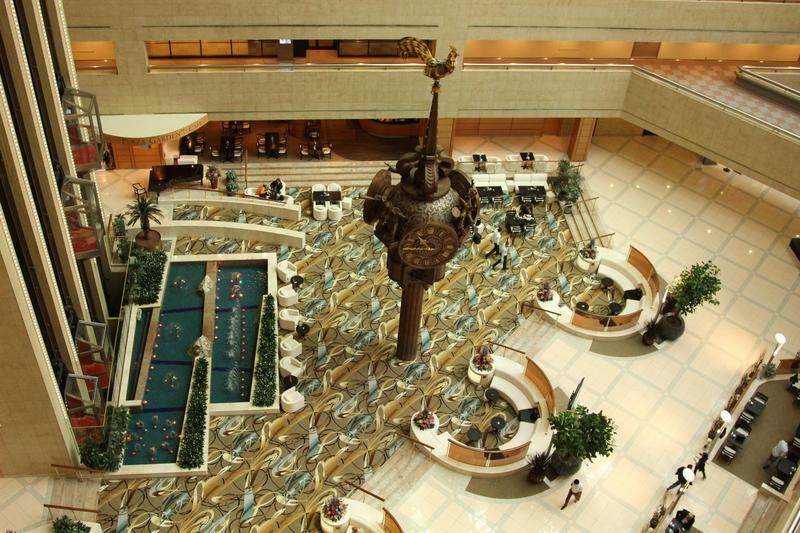 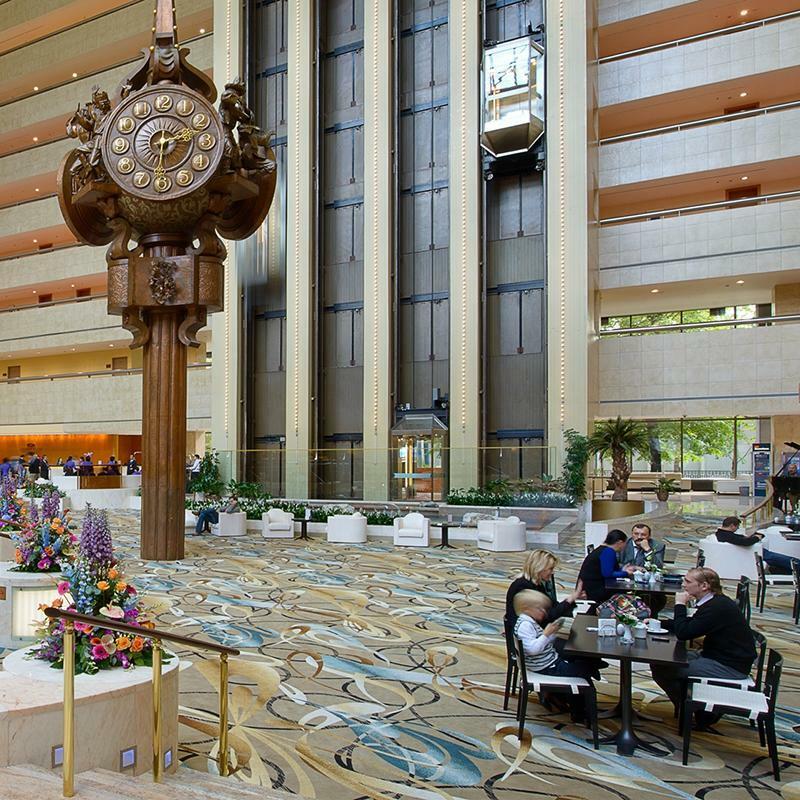 The hotels large lobby area which sits under the soaring atrium has beautiful palms, playful water features and a clock adorned with Russian fairy-tale characters, it is also home to the Plaza Garden Café and Real Food Restaurant with open kitchen. 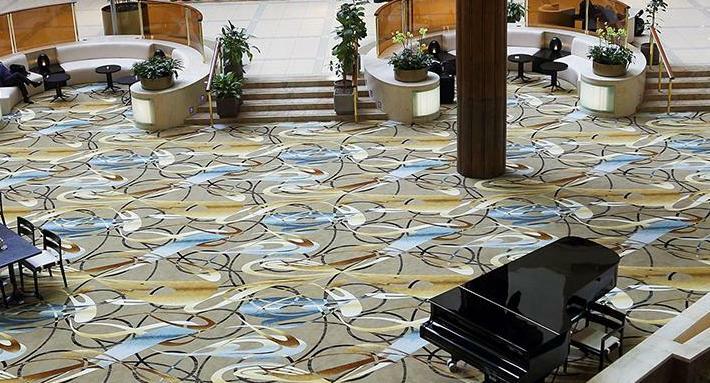 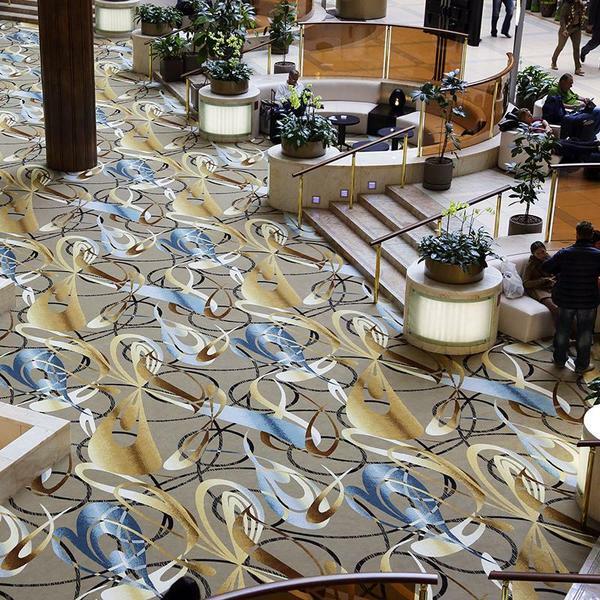 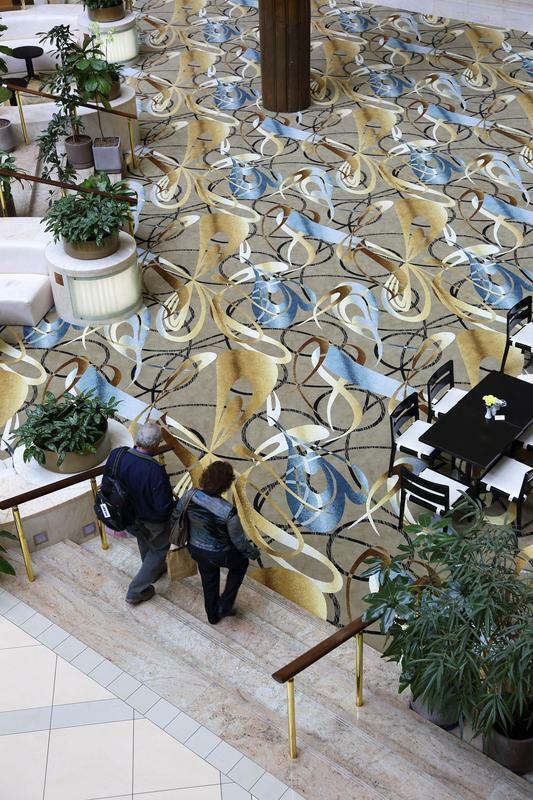 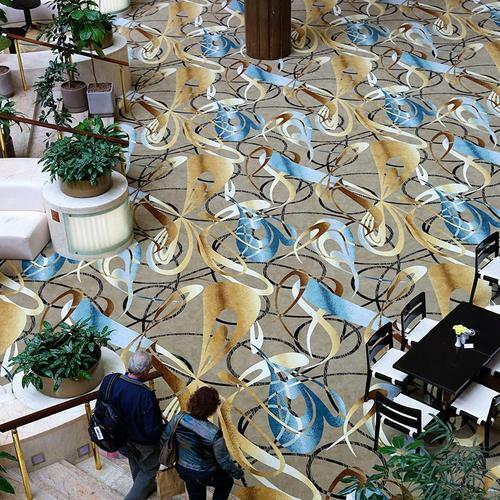 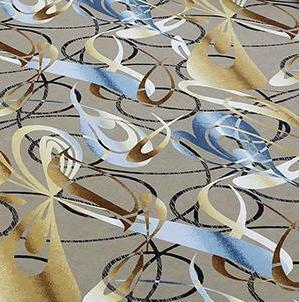 Brintons created a dramatic carpet design for the recently renovated lobby area and supplied over 1000 m2 of Axminster carpet.